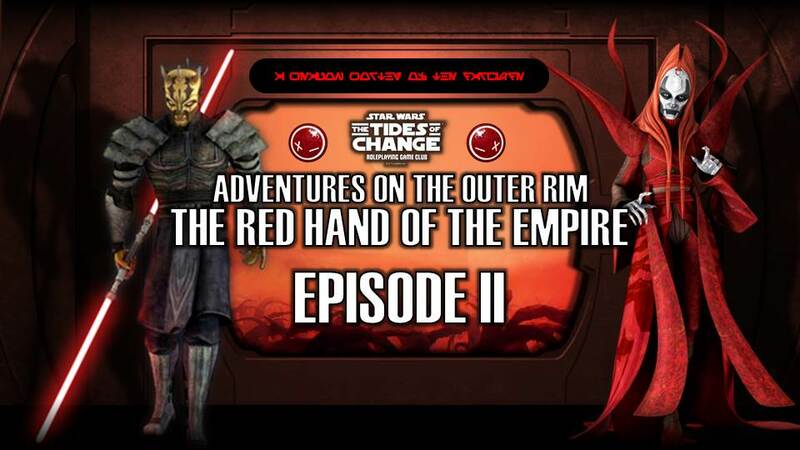 A few people in the Tides of Change facebook community have asked about playing darkside character (especially with the release of Force & Destiny) and, whilst in a normal Star Wars game, I don’t really think that characters to embrace the darkside fully have a place it did get me thinking about how a short-term darkside game might be fun. A good example of this was the one-shot that André ran where we had Gothnog play a darksider with myself and theSwamper playing dark trooper style droids, this worked really well for a mission-focussed one-off. I’ve been toying with the idea of running a trilogy that wasn’t for my regular group, so I decide to do a darkside trilogy. Session 1: A group of Force-sensitives who had been taken from their families at birth and trained to be loyal to the Empire, in this session they are teenagers put through their first test. Session 2: The surviving Inquisitors are taken to a place in order to craft the weapons that will serve them in the future. Session 3: The Inquisitors first mission to take down someone rumoured to have been trained by a survivor of Order-66. The idea is that after the first session the players will get +150xp but no lightsaber and then on the third session they will effectively have a lightsaber and be playing at Knight Level (as detailed in the Force & Destiny corebook). I was very pleased with the response (player spaces filling up very quickly despite the 3 session commitment being more difficult for some than a one-shot); at the moment I’ve only created an intro crawl for the first session. I’m very much looking forward to running the sessions, also I intend to use the characters from this trilogy (assuming any survive) as potential NPCs and antagonists in the future of Adventures on the Outer Rim, using their background and the way they are played in the trilogy to guide my RPing. 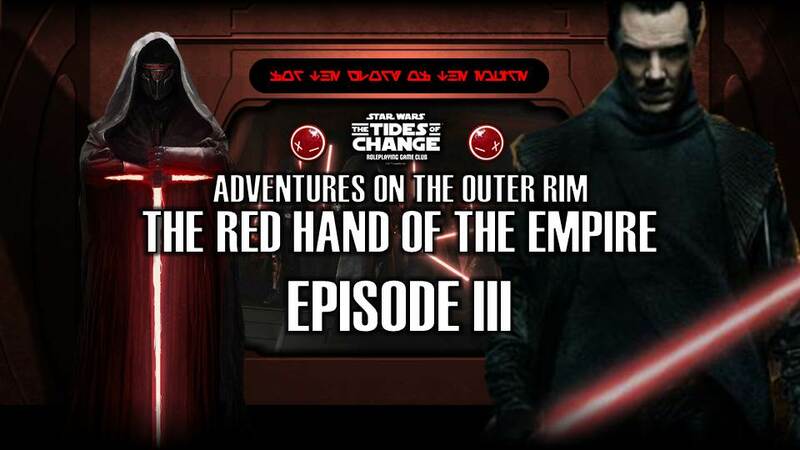 This entry was posted in Adventures on the Outer Rim, Star Wars, Videos and tagged darkside, Darth Vader, Fantasy Flight Games, FFG, Inquisitors, Intro crawls, Star Wars, The Force, The Red Hand of the Empire, Tides of Change by John Large. Bookmark the permalink.